A puppy’s paws go through a lot in an ordinary day: tarmac, concrete, muddy grass, gravel and possibly broken glass. Dog pads are designed to be sturdy but puppy pads won’t have hardened yet, so you’ll need to help your puppy look after them. When you’re out and about, keep any eye out for your puppy limping or licking their paws. Paw lifting can mean your puppy wants to play, but it could also mean they have a sore paw they want you to look at. After an outing, inspect your puppy’s paws for sharp objects or injuries. 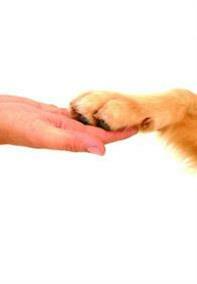 If you find something, you can use tweezers to remove it, or consult your vet if the paw looks irritated or infected. Long hair can hide dirt, so make sure the fur between your puppy's toes and nails doesn't get too long. If your puppy doesn’t spend much time on hard surfaces like pavements, you may need a vet to clip their nails from time to time, as it could be painful for them to walk if their nails get too long. Nail trimming isn’t difficult, but you should let your vet or a professional dog groomer show you how it’s done as a mistake could put your puppy off having it done again. Road salt and grit can burn a puppy’s pads – and their mouth and tummy if they lick it. So towel your puppy off when you get home, and check for salt or grit between their pads. A daily dab of petroleum jelly is very soothing if your puppy gets dry or cracked pads.